This is a fun Easter egg with a stand. I have made the stand for the egg out of an old coffee can. So that is why it is an upcycling project. The can is made out of glass. So, first I pained it with waterbased white paint, let it dry and decoupaged it. I used the wooden egg for this project. 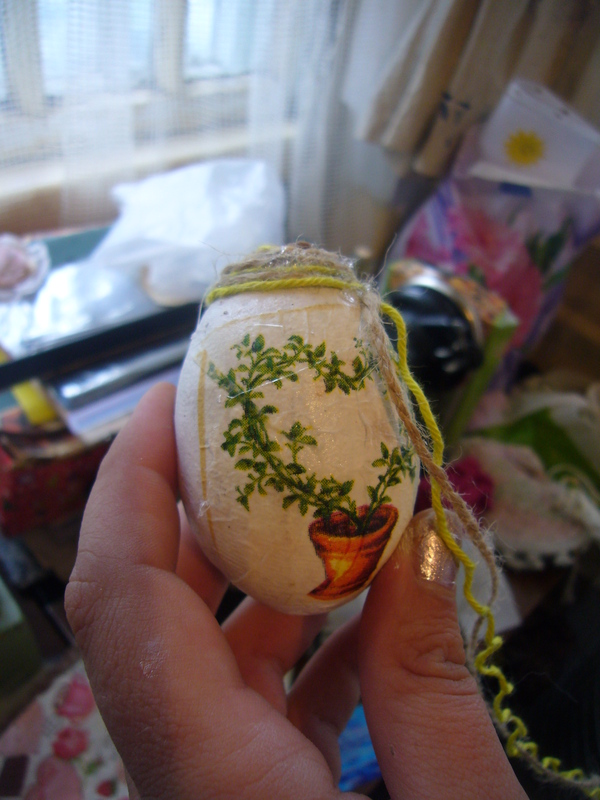 I painted it as well and made just a little decoupage in the middle of the Easter egg. 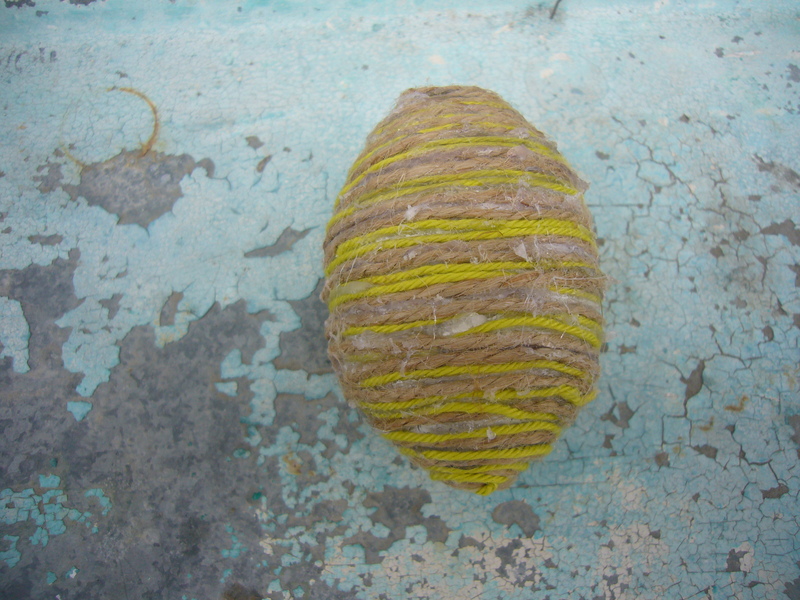 The rest of the egg I deocrated with organic threads. 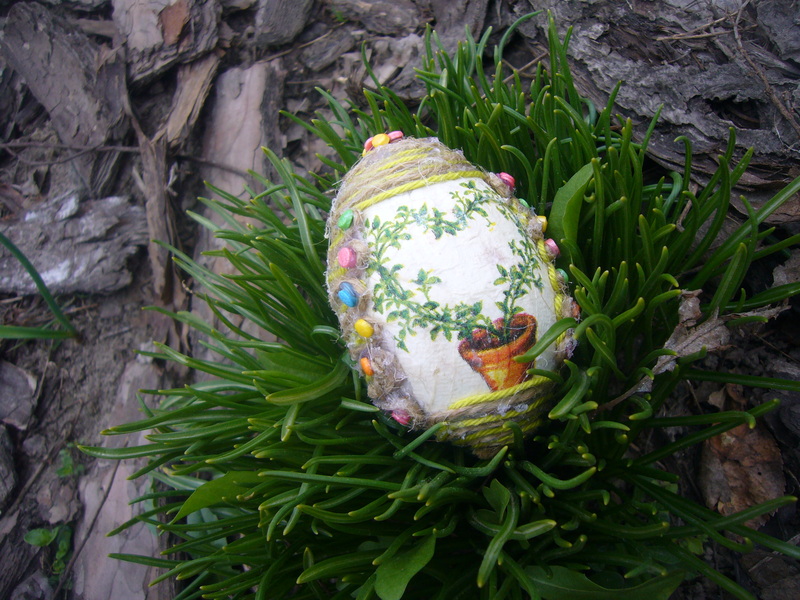 I glued the threads with the glue gun onto the decoupaged egg and used some Easter bread decorations to adorn the egg. So, that’s my decoupage on Easter egg project for this year. It’s a pretty jolly egg, too. 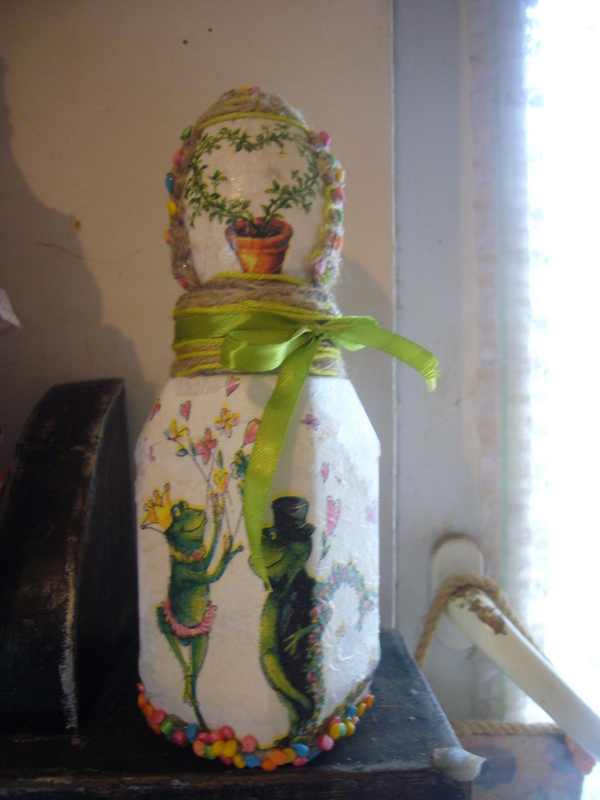 This entry was posted in Decoupage ideas, Go green and tagged decoupage on Easter egg, decoupage on glass, easter egg, easter project, go green, upcycling. Bookmark the permalink.